West Africa is a place of great diversity – in language, in writing, in the hugely varied means of recording information and passing it on. 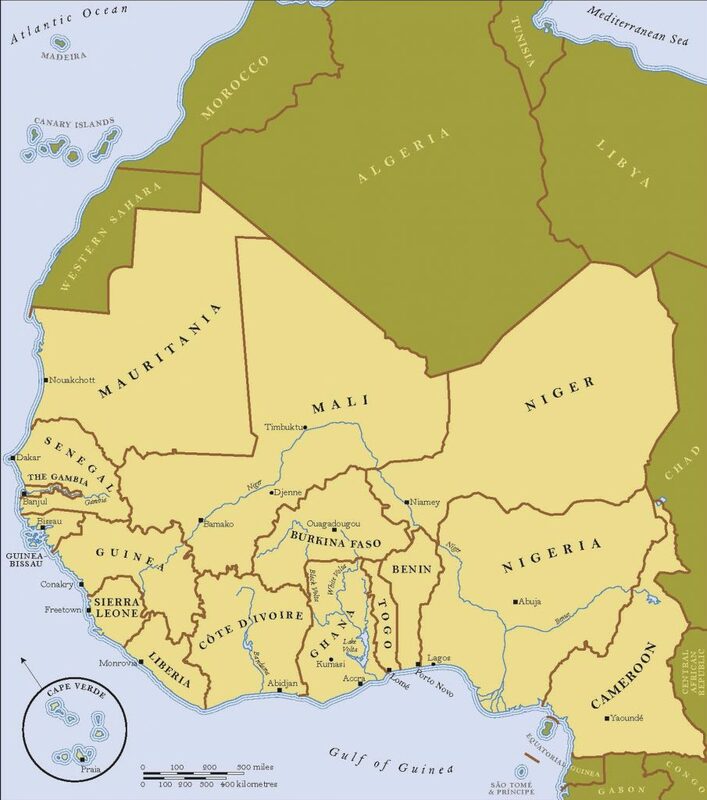 West Africa is home to well over 1,000 languages. On a daily basis, one person may communicate in many languages: their mother tongue; other African languages; languages introduced from outside West Africa such as English, French and Arabic; and pidgins or creoles, which developed from the mixing of external (usually European) languages with local languages. Africa is generally recognised to have four main language families. Each of these has a common origin in the deep past. 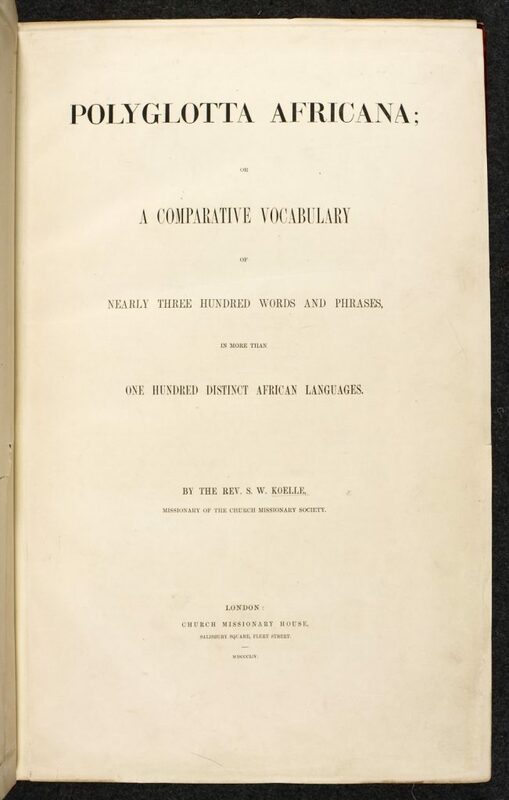 Languages belonging to three of these groupings – Niger-Congo, Afroasiatic and Nilo-Saharan ­– can be found in West Africa. The most important for the region is the Niger-Congo family. This includes the Mande languages of Mali, Côte d’Ivoire, Guinea, Sierra Leone and Liberia – some 10-12 million speakers – as well as the languages of the Atlantic Coast such as Fulfulde and Wolof, which have several million speakers. Yoruba and Igbo, two of the major languages of Nigeria, also belong to the Niger-Congo grouping. To this brief summary should be added Arabic, which was introduced to West Africa with Islam in the 8th and 9th centuries and is also an Afroasiatic language. French, English and Portuguese were all introduced by European colonising powers and are widely used today, and a variety of Pidgin and Creole languages also flourish. Nigerian Pidgin was the language the Nigerian Afrobeat star Fela Kuti used in his songs, in order to communicate with ordinary people. The importance and antiquity of writing in Africa is not well known. As one scholar puts it, ‘Africa’s contribution to the art and science of writing has gone largely unrecognised in the annals of history.’2 Yet writing – in the form of Egyptian hieroglyphs – emerged in Africa from the 4th century BCE.In Ethiopia, the Ethiopic script was developed in the 4th century CE, and in Sudan the Meroïtic script was created about 180 BCE. The Tifinagh script is of particular importance for West Africa. It was created by speakers of Berber languages, living in and around the Sahara Desert, at least 2,000 years ago, and is known to have been in use south of the Sahara at least 1,500 years ago. Large collections of rock inscriptions in this script survive in countries including Niger, Mali, Algeria, Morocco and Libya. A modern version of this writing system is still widely in use today. In many places in West Africa, people have invented patterns and symbols as a means of visual communication. In the Cross River region of south-eastern Nigeria, artists (men and women) used a symbolic system called nsibidi to decorate gourds, houses, textiles, pottery and other items. The script was also used by male secret societies as a means of communicating information and of keeping it secret. Archaeological evidence suggests that the patterns on which nsibidi is based may date back a millennium.3 It is still in use. Adinkra symbols were certainly in use in the Asante kingdom (modern Ghana) by 1817, and may date back much further, especially in Côte d’Ivoire, their probable place of origin. Hand-stamped adinkra cloth is still produced and sold in Ghana today, and the symbols have great popularity around the world. They are used to signify all sorts of human circumstances and emotions, from leadership and greatness to defiance, endurance and resourcefulness. 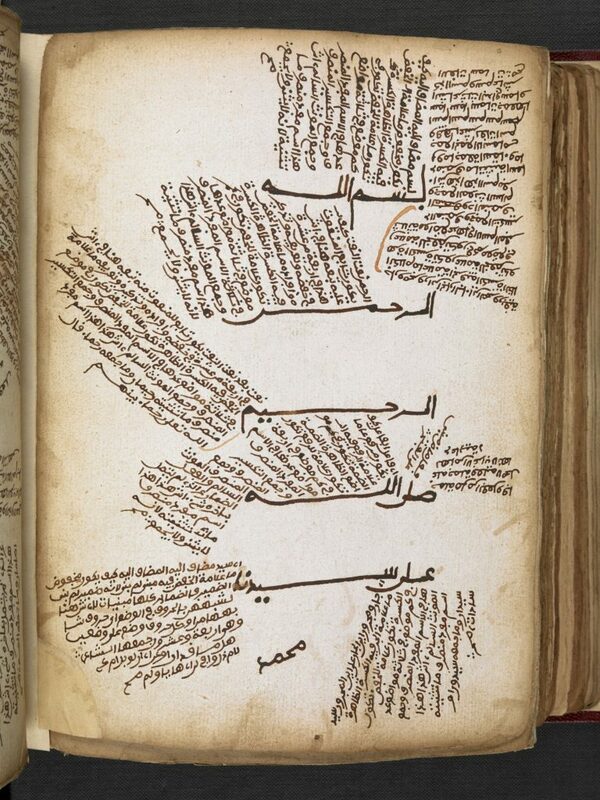 Today, both the Arabic and the roman script are hugely important in West Africa. Arabic was brought to West Africa with the Islamic religion more than a millennium ago, and was taken up by scholars and students across the region. West Africans became part of, and contributed to, a culture of learning across the Islamic world. As well as writing and reading in Arabic, many West Africans have used the Arabic alphabet to write their own languages. From the 19th century, West African writers, linguists and translators made use of the printing press and the roman script brought by Europeans to translate the Bible and to call for political change. 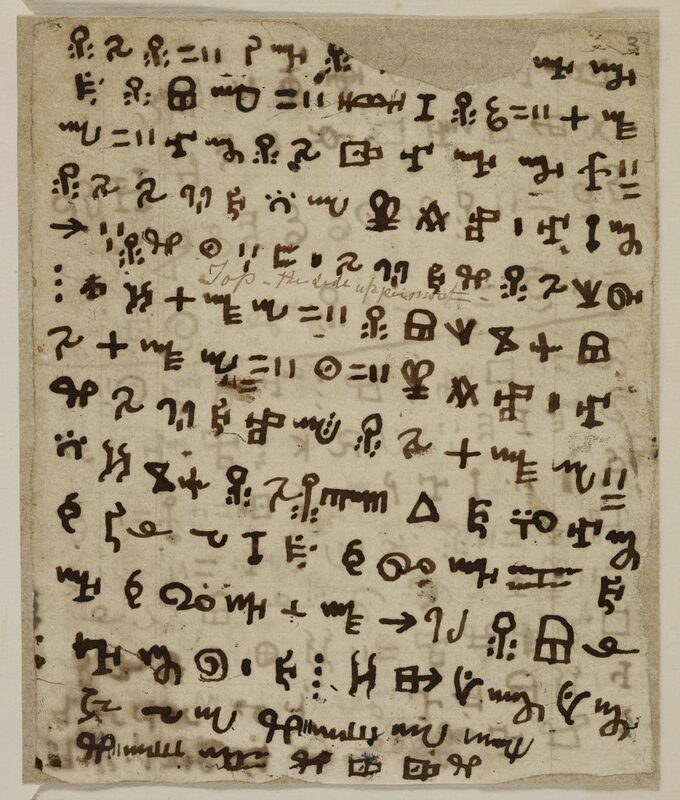 In the 19th and 20th centuries, West Africans created many new scripts. This was partly a quest to express their own languages fully. It was also an attempt to find an alternative to the roman script brought by Europeans, and to assert a different, autonomous vision of what it meant to write. 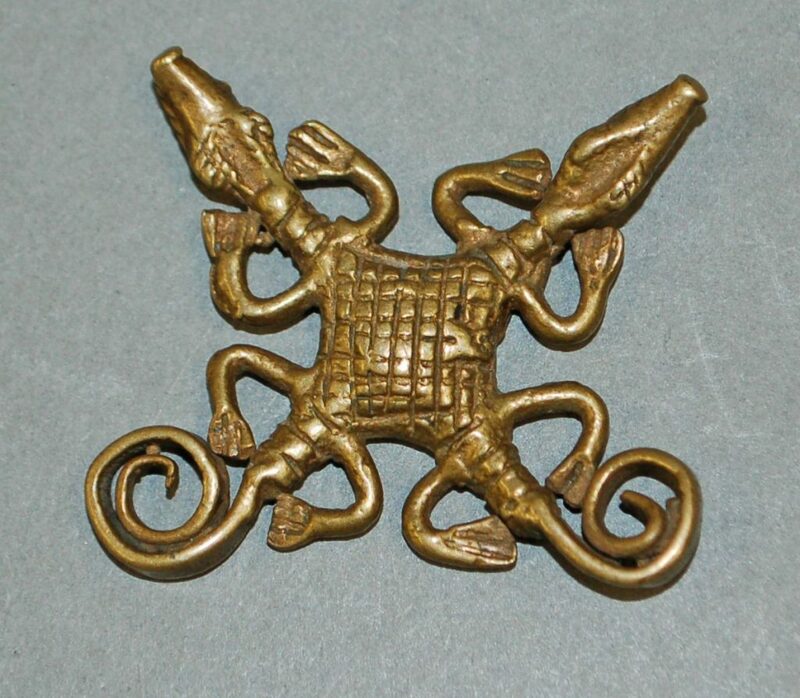 Perhaps most famous is the script invented by Njoya, king of Bamum, Cameroon. 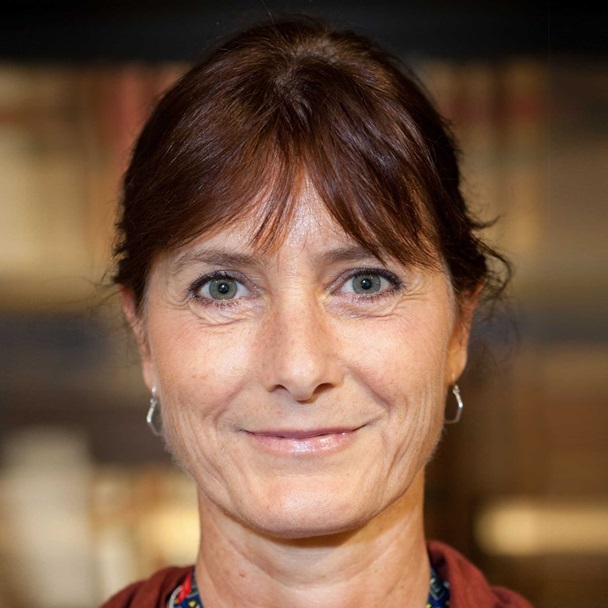 Today, the archive at the Bamum royal palace still holds numerous documents in this writing. A script invented in the neighbouring kingdom of Bagam has largely been lost. It is not just through visual signs and scripts that West Africans communicate over long distances or express complex meanings. Symbols and coded messages are heard as well as seen. Many of the languages of West Africa are tonal, and pitch and inflection are used to create different meanings or grammatical distinctions. 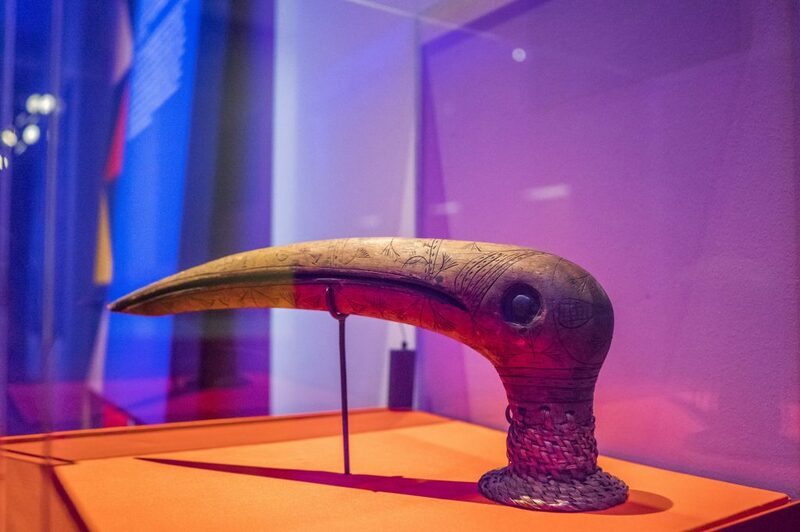 The use of musical instruments – such as whistles, trumpets and drums – in place of speech is a major part of West Africa’s literary history. Variable tension drums – such as the dùndún (Yoruba, Nigeria), tama (Wolof, Senegal) and dondo (Akan, Ghana) – are particularly well designed for maximum intelligibility. They are commonly used as ‘speech surrogates’ in a wide variety of contexts, including popular music. The drum is placed under the armpit and struck with a hooked stick. The player alters the tension of the drum’s head by regulating the pressure on the laces to raise or lower the pitch as the drum is struck. 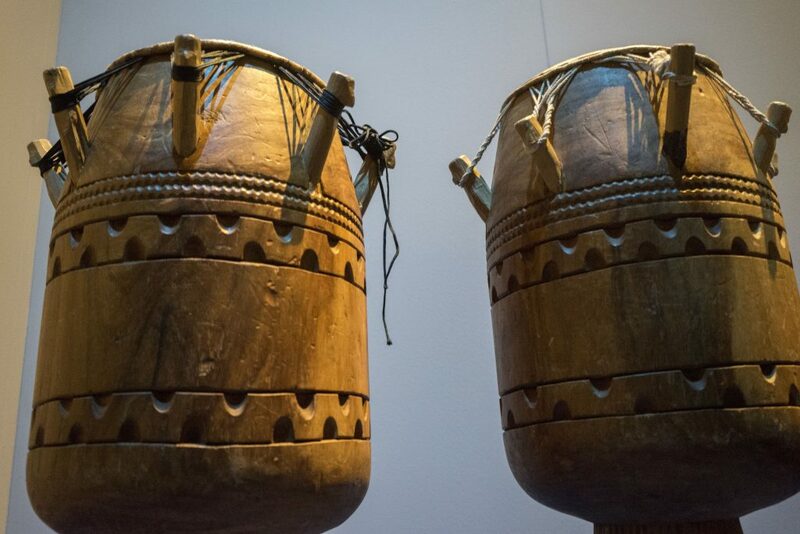 In the Asante empire in present-day Ghana, the atumpan drums form part of the king’s official regalia. They are symbols of his status and power and can be deployed as surrogates for the voice, to ‘speak’ texts. 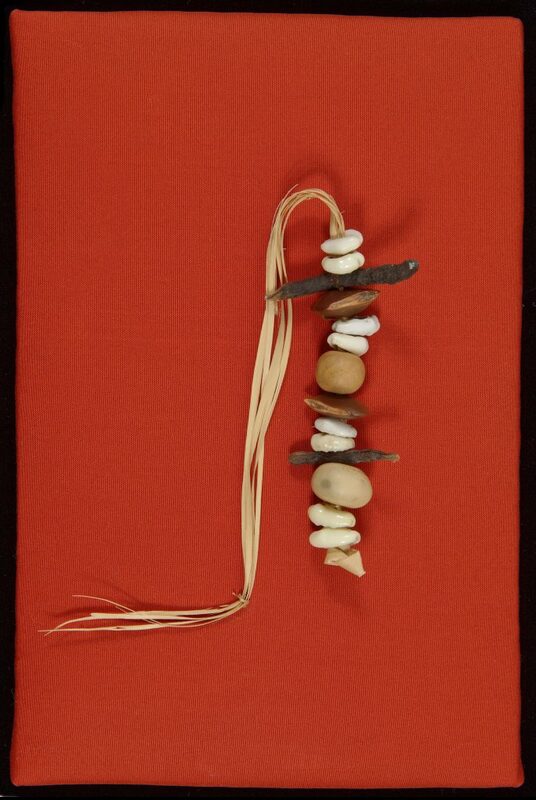 They are used during a variety of royal functions – to play welcome statements and eulogies, and to recite praises, proverbs and drum poetry (ayan). They also convey the king’s messages across the kingdom. The melodic and rhythmic patterns are connected with significant moments of Asante history and with funerals for paramount chiefs and members of the royal family. Here, one drum head is slightly larger, and thus slightly deeper, than the other, making it possible to replicate the tones and rhythms of speech. In West Africa today, visual and verbal cultures – written and oral – are entwined at every turn. Many of the symbolic systems described above, such as adinkra, continue in use. Bogolan mud-dyed cloth from Mali, which is decorated with highly symbolic patterns in a tradition probably several centuries old, has conquered the fashion market. 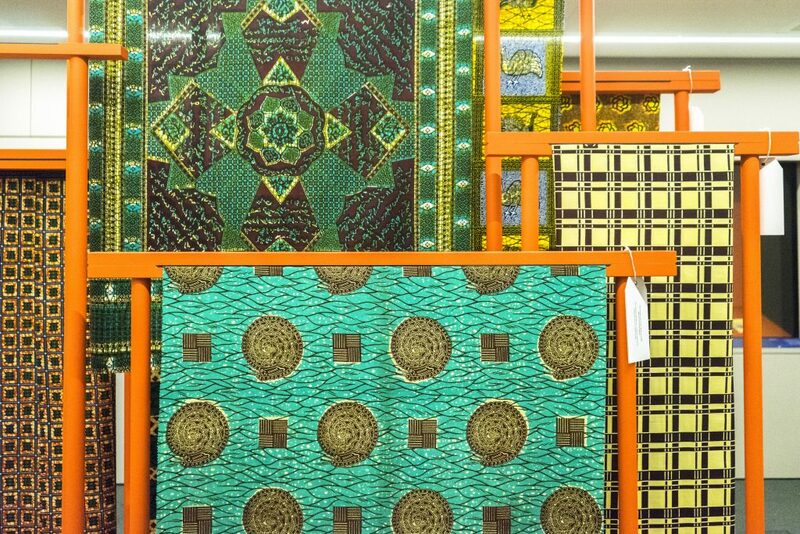 Modern printed cloths imported into Ghana are named by market women to indicate states of mind or make witty comments on human affairs. 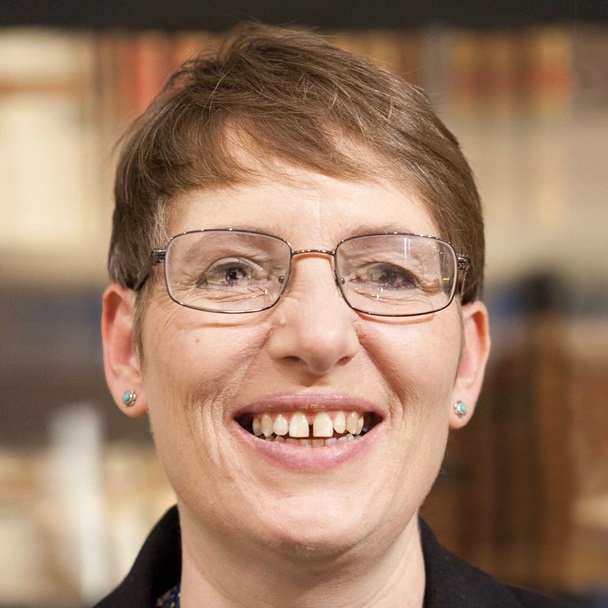 Literary and academic books sit side-by-side on the bookshop shelves with cheap and easily accessible pamphlets providing instruction in many subjects. 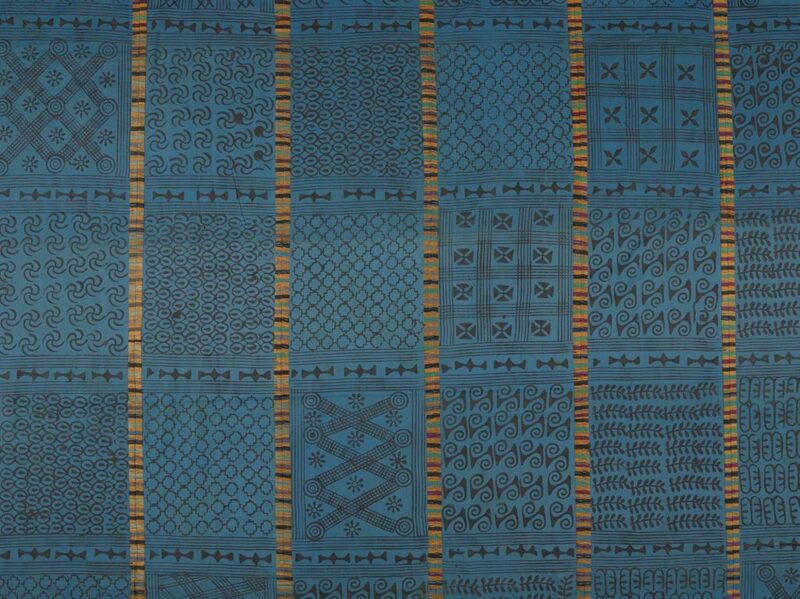 Artists such as Nike Davies-Okundaye use older symbolic systems, such as adire cloth patterning, in their paintings. Another popular form where the verbal and visual meet is that of the slogans and artwork displayed on lorries, buses, taxes. In a talk recorded in October 2015, Wole Soyinka discusses these ‘mobile murals’ as an expression of African democracy. This entry was posted in Uncategorized and tagged Africa, History, Language, Linguistics, Script. Bookmark the permalink.